Aquariums and fishkeeping are like underwater gardening, especially when you’re dealing with planted tanks. For aquatic plants, one of the biggest things to think about is the substrate you use. Picking out the best substrate for planted tank makes a huge difference and may have a disproportionately large impact on the outcome of your tank, either positively or negatively. There are some safer, more neutral options that work decently well in most planted tanks. But, if you want the best results, you’ll have to learn which substrate will make it happen and why. It’s not as easy as just throwing some gravel and plants into the water and hoping for the best! You have to pay attention to a lot more than you might initially think if you want your aquarium to thrive. If you’re new to aquarium keeping, it’s time to learn about one of the central features of the tank: substrate! Even if this isn’t your first time and you’ve got some experience in raising aquatic plants or fish, you could still benefit from a refresher and a reminder of what’s out there to choose from. You never know what you might learn or how it might help you get even better at your craft. What is the Best Substrate for Planted Tanks? What are the Benefits of Substrate for Aquatic Plants? What are the types of planted tank substrates? Can I use topsoil in a planted tank? How much substrate should I use in my aquarium? When can I add fish and plants? How many bags of substrate do I need? 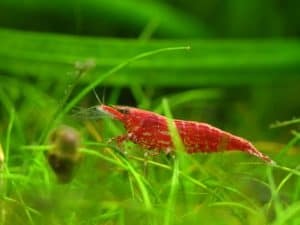 What’s the best substrate for planted shrimp tanks? Think of planted tanks like an underwater garden. Just like any other plant, aquatic plants need nutrients and the substrate you choose can heavily impact how your plants grow. Depending on what your substrate is made from, it can impact your water quality in one way or another. You need to consider this to set up a stable, positive environment for the life in your tank. Depending on what your aquasoil is composed of, it may alter your water chemistry. Make sure your aquasoil selection fits your fish and plants needs. Active substrate alters water chemistry. Inert substrate won’t alter water chemistry. Beyond the water quality, substrate can affect the plant and marine life in your aquarium directly. The best substrate for planted tank will work as an anchor for plants rather than letting them move around freely, and it won’t injure or disturb the marine life as they go about their business. Sharp or jagged substrate may cut your fish fins and plant leaves, tiny substrate could be accidentally ingested and injure your fish, large substrate may be hard on plant roots, etc. Pay attention to what your substrate may do, so you can make a choice you’re prepared to work with. Sold in 20 pound bags, this is a complete aquasoil that’s formulated to promote healthy plant growth and roots. CaribSea’s substrate is specifically designed for planted tanks. It has the right mix of nutrients to nourish most aquatic plants and encourage strong root growth. You can add this as a solitary substrate or mix it with other types of substrate to create the visual affect you like best in your aquarium. Basaltic volcanic soil is the main component of this aquasoil. It’s got a porous composition that helps it to act as a natural water filter in your aquarium without hindering water circulation. The porous holes work to accelerate the process of converting fish waste to usable nutrients. Volcanic soil is also well known for being rich in nutrients like iron, calcium, magnesium, potassium, and sulfur. This complete aquasoil mix has an additional 25 trace nutrients and minerals that will all boost plant health. Because it’s a complete aquasoil, it already contains much of the beneficial bacteria your tank will need to fight off algae growth on the substrate. No washing, cleansing, or prepping of any kind is necessary for you to start using this substrate mix in your aquarium. It comes ready for use right out of the bag with no chemical additives, dyes, colorants, paint, or otherwise. This blend is black in color with a natural appearance that works well as an under-layer or a dark top layer of aquarium substrate. This aqua soil was made popular by Takashi Amano. 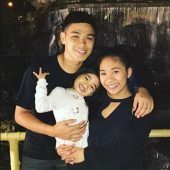 A little on the pricier side but many people prefer to purchase this if they have an ADA tank. Not only is it a highly known brand, it’s all natural and rich in nutrients. It’s also an active substrate, it lowers pH. Aesthetically and in the formula, ADA’s aquasoil mix is a good fit for aquatic plants. It’s sold in 9 liter bags (about 20 pounds), the light color mix has a beautifully natural look that will help create a pleasant contrast in any planted tank. Various smaller size bags are available, and different color schemes for the same type of substrate. This is a substrate that’s made with your aquatic plants in mind, from its appearance to nutrient content. Made from a mixture of different types of natural soils, this mixture’s claim to fame is the additional use of plant-based Japanese black soil. Because the soil originated from plant materials, it’s packed with nutrients that promote growth of new aquatic plants in your tank. Because of the make-up of the soil, it helps to keep water clear after it’s fully settled into the tank. You may need to rinse it well and allow any initial dust to settle before you count on a crystal-clear tank. The light mixture of Amazonia aqua soil has a great natural appearance that doesn’t darken the tank too much. It leeches ammonia slowly to help benefit new plants in the tank. You can easily mix this substrate with other types of substrate to make a good environment for different species of fish and various aquatic plants that may have different preferences. To accommodate your specific aquarium, you can get this substrate in 4.4, 8.8, or 17.6 pound bags. The compound substrate in this bag is appropriate for planted tanks and certain types of marine life, especially shrimps and similar critters. You’ll be able to help your variety of plants grow well with the nutritious combination of ingredients mixed into this soil. Before using this substrate, you’ll want to wash it to reduce water clouding and keep unwanted water quality fluctuations at a minimum as you get the tank used to the new materials. 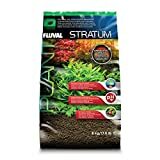 Made from rich volcanic soil, Fluval’s plant and shrimp stratum is a good medium for plants with soft, spreading roots. The soil grains are small and light, allowing plant roots to easily penetrate the surface of the substrate to anchor the plant into the ground. Porous holes in the grains help to filter tank water for clearness while also harboring beneficial bacteria in the tank. In addition to the sheltering effect of the grains themselves, this substrate is mixed with beneficial micro nutrients from Fluval that help promote a healthier tank environment. For most aquatic plants, lower pH is preferable, which is why this substrate can lower the pH of your water slightly to make it more neutral. This also creates a better environment for shrimp fry as well, if they’re included in your aquarium. Aquatic plants are the main focus of Fluval’s substrate. Its dark, natural coloring looks great in most aquariums with other natural and organic-looking décor. Depending on what you want, you have a few different options with this substrate from Seachem. The bag is 7kgs (15.4 pounds) and comes in black, dark, red, and regular. You can mix and match or choose the best color to suit your aquascape. The fluorite stones contained in the mix are a good fit for aquatic plants in your tank, because they’re lightweight yet firm enough to help anchor the plants in place while you’re arranging the tank. These clay gravel stones are porous to encourage water filtration as the tank naturally circulates. Stones are not rounded like aquasoil, so you’ll end up with a lot of different unique shapes in the mix. Pieces vary in size, though they won’t be consistently small or too large that they look awkward. It’s recommended that this fluorite substrate is used alone, though you can mix it with some other types of substrate as well if you prefer. Seachem gives their fluorite a natural black color that’s not the result of any chemical treatments or coating. Nothing contained within the substrate or on top of it should have a negative effect on your water quality and plant life. This substrate is not designed to alter the pH level of the tank and will not give off acid or ammonia when it’s in use. You can add this to established tanks or use it to set up a new planted tank. 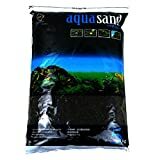 Sold in 5 kg bags, this is an aquasoil mix with soft, rounded black sand grains. UP Aqua created this mix to work well in planted tanks, with or without fish. 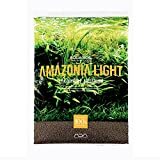 It’s well formulated for aquatic plants, and is lightweight enough that most plant roots can push through it to get themselves established in the tank. Unlike some other aquatic sands, this substrate breaks down much more slowly, so it’s longer lasting and keeps the water in your tank clearer. Although it’s known as a sand, the grains are much larger than average beach sand. This substrate is made from compressed, baked soil. It has a lot of great plant nutrients packed in for your aquatic greenery to absorb and use over time. The nutrients can be accessed as the grains slowly break down or as the plant roots themselves break into the pellets and retrieve what’s inside. It may have some effect on the pH of your tank, but the grains themselves give off a pH value of around 6.5. Rounded edges make it softer on both plant roots and any fish or marine life that may be living in your aquarium. If you’re looking for a true, dark black, this substrate might not be the best choice. It’s a lighter black that may appear almost gray under a bright light. Nonetheless, it still looks great and adds a lot of ambience to a planted tank with a more modern aesthetic. The consistency in pellet sizes from grain to grain makes it easier to clean with a traditional syphon cleaning system. Substrate is a fancy term that refers to what you line the bottom of your tank with. This could be anything from sand to pebbles. There is no particular material that substrate has to be made from, and there’s no specific shape or size it has to have. Because aquariums are controlled environments that don’t have the same types of biological and physical life as a wild environment, most substrate falls into a few categories around tank management. Your choice of substrate will have a huge impact on the plant life inside your aquarium. It could mean the difference between healthy or dying plants. Choosing the right standalone substrate or mix of multiple types will set up the environment for your plants to grow and thrive. Just as you have to pay attention to what goes into your garden soil outside, substrate is your aquarium “soil” that will either help or hurt your plants. The best substrate for planted tank will provide beneficial nutrients to your plants without altering the water chemistry too significantly. It will be more pH neutral, because high pH can be bad for aquatic plants. Substrate also gives plants a place to anchor in and get settled into the tank, spreading their roots and growing larger in a stable position. It’s a little daunting to realize how many different types of substrate there actually are. You can make substrate out of pretty much any material you can think of. But, to make it easier, there are a few general categories that most substrates for planted tanks fall under. When it comes to planted tanks, there are a few alternatives to aquasoil but I always recommend aquasoil because of how easy it is to use. Aquasoil is made of up rounded grains that help to facilitate the flow of water around your tank. They can work like natural water filters. There are a lot of different types of aquasoils, so it’s easy to find something that you’ll like. Aquaoil works really well for planted tanks. Topsoil can be a super cheap option for a substrate. However, it does tend to get too compact in an aquarium and can affect the natural circulation of water in the tank. Sand in a planted tank is more about form over function. It doesn’t do much to or for your tank, but it does look great. Some aquarium owners like to mix sand with other types of substrate to better their aesthetic. EcoComplete substrates contain minerals and nutrients that can help plants to grow, though they can also throw off the balance of your aquarium water if you’re not careful. Laterite and fluorite substrates are both clay-based substrates that can have different impacts on your water quality. Since they’re clay-based, they may not be the best option for aquarium plants with more delicate roots. They’re great at slowly releasing nutrients for plants, but they usually don’t look as beautiful as other substrates. Clay-based substrate works well as an under-layer to help plants while staying out of sight. You’ll see these terms thrown around a lot with aquarium substrate. There’s a significant difference in setting up a tank with one or the other. Complete substrate is ready to use right out of the bag. You can pour it right into the tank and don’t have to use it with anything else. Any type of substrate can be complete. What this means is that it’s ready to go right away for planting and use. Compound substrate needs a little extra work to do what’s called “capping”. Compound substrate can cloud your water if it’s used by itself and comes directly into contact with the whole aquarium above. Instead, you need to cover it with a few millimeters of lime and gravel to help prevent it from clouding the tank water. It’s used as an under-layer to line the tank and give nutrients to plants. Remember that your substrate doesn’t just affect your plants and fish. It also impacts the microbiological life, including beneficial bacteria and organisms that can help create healthy water cycles in your tank. Choose substrate that’s going to help your tank, not hurt it. Let your fish, plants, and substrate all work together to make your job of maintaining the tank easier. This depends mostly on your particular plants. Aquatic plants produce roots differently, within a range of shallow to deep roots. For most plants, you need at least 2 inches of substrate in the areas the plants will sit. Deep-rooted plants require at least 3 inches for substrate to remain healthier. Yes, you can use organic topsoil in a planted tank, but there are a few things to think about if you do. First, topsoil is usually made up of smaller particles, so you’ll want to cap it with a layer of gravel or another type of substrate to keep it from floating around your water. Also, topsoil soil may affect the pH of your water more than you’d expect, so be prepared to deal with that if your plants aren’t tolerant to pH changes. There’s no default amount of substrate you have to use. Some people don’t use any at all! Most people prefer to cover the bottom of the tank with around 1 inch of substrate. If you have aquatic plants, you’ll want a minimum of around 2 inches, at least where the plants will sit. If you’re mixing substrate types, split the desired depth between the different types. For large tanks it’s recommend to have at least 1lb per gallon (beneficial bacteria purposes). If you’re adding complete substrates or substrates that give off nutrients for plants, they’re likely to be unhealthy for fish for around 2 weeks because of the ammonia they leech into the water. You can put your plants into the substrate right away because they’re less likely to be affected by the water quality changes, and may even benefit from the ammonia. For fish, wait until your water quality is stable before you put them into the tank with a new or different substrate. For plants, they’re likely okay going in immediately or relatively quickly after adding new substrate. For a basic 2 inch layer of substrate, you can do the math easily yourself. Simply multiply the length and width together to learn the area of the bottom of the tank. Once you know the area of the tank, divide it by 10 to get the rough number of pounds of gravel substrate you would need to get 2 inches of coverage at the bottom. The gallons in the tank don’t matter, just the area of the bottom. You can also use a simple substrate calculator for a more exact figure. We highly recommend you use Fluval Plant and Shrimp Stratum. Since shrimp are a little more on the sensitive side, their usual water parameters must stay close to neutral pH. Since this substrate buffers the pH in the range of 6.5 to 7 it keeps the water parameters from fluctuating too rapidly = Perfect! Also the design allows baby shrimp to hide until they are a bit older to take care of themselves. With all the different considerations and information, it can be hard to choose the best substrate for your planted tank, especially if you’re trying it out for the first time. We recommend giving the CaribSea Eco-Complete aquasoilCaribSea Eco-Complete aquasoil a try if you’re not sure what to get. Because it’s a complete substrate, it’s got everything you’ll really need for aquatic plant tanks, including a beginning dose of beneficial bacteria and a ton of healthy plant nutrients. It’s a solid option that works in most planted tanks, whether you have fish or not. The most important thing is to make the choice that works best for your situation. Your tank is probably not exactly the same as someone else’s, so you need to decide based on what your specific plants and marine life need, as well as on your own personal preference. Learn what you need to know to make a smart buying decision and give it a try!